This entry was posted in networking, OpenDaylight, OpenFlow, SDN, Uncategorized, XNC and tagged action, match, opendaylight, openflow, programming, reactive, sdn, xnc by Frank Dürr. Bookmark the permalink. Thank you so much for such a brilliant and exhaustive tutorial. I cant wait to see the next post regarding identifying the network topology. When will the next post be available. Awesome tutorial. Can’t wait for future posting. Got a question on the tutorial above. Which SAL was used in the tutorial above (AD-SAL or MD-SAL) ? I assume it is MD-SAL ? Hi Frank, thanks for your tutorials. I look forward for your tutorial on using topology manager api’s to query topology information. I have tough time dealing with bugs (the topology manager api calls always return ‘null’, though the topology is created as I can see it in the web gui. My queries in the odl-user/dev forums remain unanswered. Hi there. Topology management is an important topic (already received some requests for tutorials for this). I hope, I can find some time to show some basics how to do this with OpenDaylight. Hi Frank, could you please clarify what part of the flow rule installed on the switch allows to alternate server instances each time? basically, the flow rule installed distinguishes packets of a TCP connection by the four-tuple (src ip, dst ip, src port, dst port). 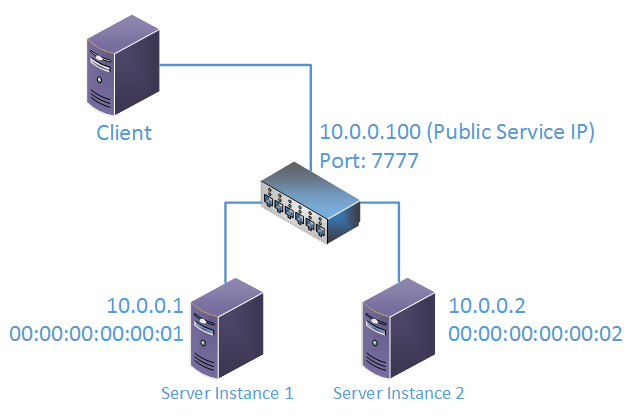 If a client opens a new connection (TCP SYN request), it will either come from a different IP address than any previous connection (if the client is on a different host) and/or different port (if the same client opens a new connection). I do not consider the case when the same host opens a new connection from the same port but assume that the old flow of the old connection has already been removed at this time. Note that after the rule is installed, the controller will not receive packets of this connection anymore. Therefore, if you want to implement a load balancing strategy that sends (UDP) packets round robin to the hosts, it is hard to implement without involving the controller (not scalable). However, for TCP connections it is anyway essential that all packets of the same connection go to the same physical host.